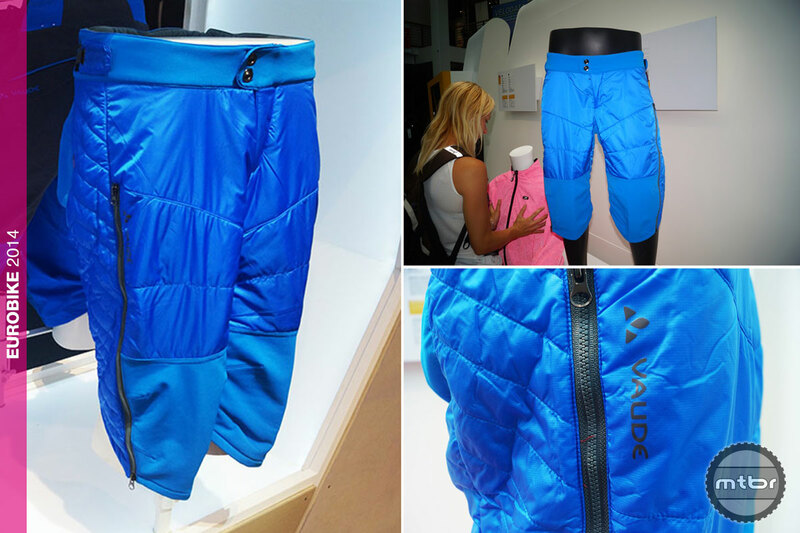 If you’ve ever endured a ride so cold it threatened to freeze off your reproductive parts, Vaude’s new Manaki shorts might just keep your lineage in tact. Made of ecologically manufactured materials and insulated with 60-gram PrimaLoft padding, the Manakis—definitely not to be confused with mankini—are meant to be worn over cycling shorts or tights for cold weather cycling. Vaude adds water-resistant stretch inserts at the knees and back of the legs to help the shorts articulate with cycling leg motions. And while we Californian’s have a chuckle over these ‘nad warmers, we know quite a few fatbikers in the upper Midwest who will atestes, err attest, to the legit need for such wares. The Eurobike Award-winning shorts also include an extra long zipper so the shorts can be taken on and off easily without removing your shoes. For more information visit vaude.com. And they come in Enduro-specific blue…perfect!! !